This is a personal blog. All editorial content and projects are intellectual property of ashleyhortondesigns.com. I do receive financial compensation and material product from American Crafts to develop my craft posts, but all ideas and opinions are my own. Are you ready to celebrate the 4th of July this weekend? 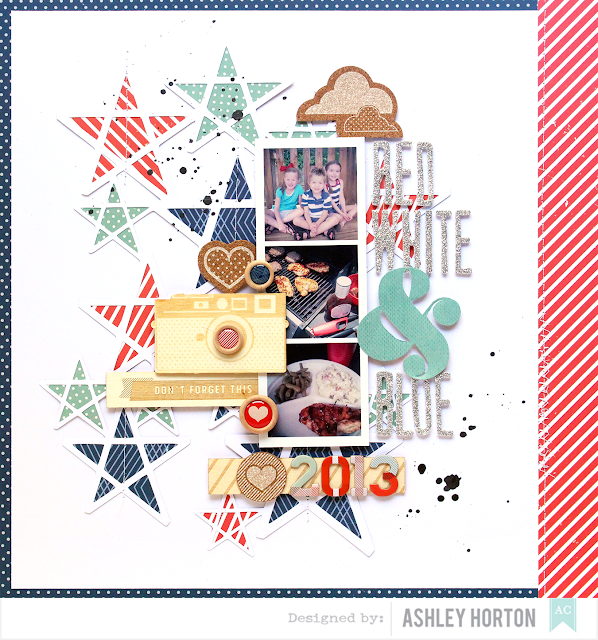 We are already celebrating this week on the American Crafts Blog, and I was up yesterday, with a new Patriotic themed layout, using the True Stories collection from Shimelle! How To: Die cut (or punch) stars from White cardstock and back with Red and Blue patterned papers. Place stars on White cardstock background and machine stitch a few of the stars, to adhere it to your paper. Create a photo strip look by printing your photos in a strip format or place individual photos in a strip design on the background paper. 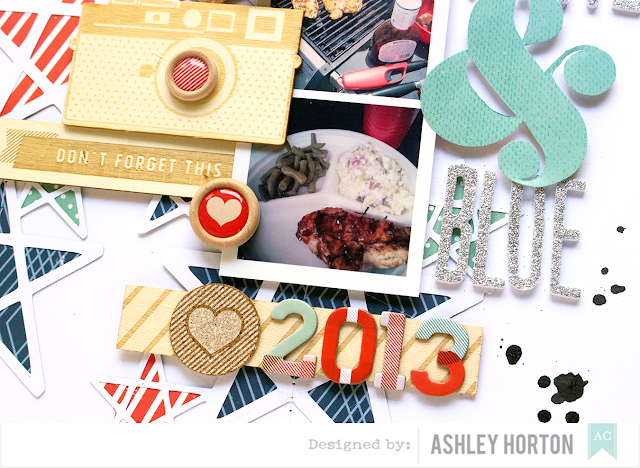 Embellish the left side of the photos with wood veneers, cork stickers and wood buttons. Create a long title on the right side of the photos using your favorite Thickers. 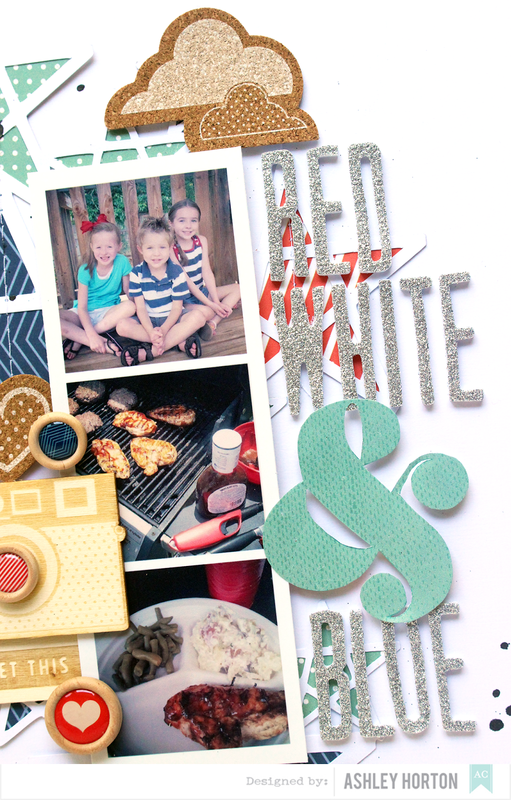 Simple Stories & MFT Stamps Product Swap!